Details: Four Flute, Single End Champion 166-1/16X1/8 Single End 4 Flute Solid Carbide End Mills is recommended for slotting applications and plunge cutting. Details: Four Flute, Single End Champion 166-3/32X1/8 Single End 4 Flute Solid Carbide End Mills is recommended for slotting applications and plunge cutting. Details: Four Flute, Single End Champion 166-1/8X1/8 Single End 4 Flute Solid Carbide End Mills is recommended for slotting applications and plunge cutting. Details: Four Flute, Single End Champion 166-1/4X1/4 Single End 4 Flute Solid Carbide End Mills is recommended for slotting applications and plunge cutting. 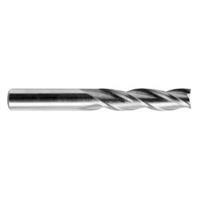 Details: Four Flute, Single End Champion 166-5/16X5/16 Single End 4 Flute Solid Carbide End Mills is recommended for slotting applications and plunge cutting. Details: Four Flute, Single End Champion 166-9/32X5/16 Single End 4 Flute Solid Carbide End Mills is recommended for slotting applications and plunge cutting. Details: Four Flute, Single End Champion 166-3/8X3/8 Single End 4 Flute Solid Carbide End Mills is recommended for slotting applications and plunge cutting. Details: Four Flute, Single End Champion 166-1/2X1/2 Single End 4 Flute Solid Carbide End Mills is recommended for slotting applications and plunge cutting. Details: Four Flute, Single End Champion 166-5/8X5/8 Single End 4 Flute Solid Carbide End Mills is recommended for slotting applications and plunge cutting. Details: Four Flute, Single End Champion 166-3/4X3/4 Single End 4 Flute Solid Carbide End Mills is recommended for slotting applications and plunge cutting. Details: Four Flute, Single End Champion 166-7/8X7/8 Single End 4 Flute Solid Carbide End Mills is recommended for slotting applications and plunge cutting. Details: Four Flute, Single End Champion 166-1X1Single End 4 Flute Solid Carbide End Mills is recommended for slotting applications and plunge cutting.